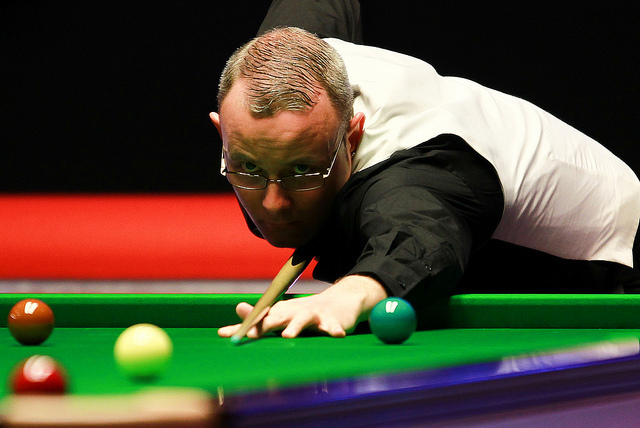 Former Championship League winner Martin Gould continued his recent run of form as he eased his way into the Winners’ Group with a 3-0 victory over Judd Trump in the final of Group Six at the Ricoh Arena, Coventry. The Londoner also enjoyed his first 147, a feat he achieved in his final group match against Li Hang and in total he collected £6,900 for his efforts over the two days. “I played well this week. My form has been good recently – a semi-final at the International Championship followed by quarter-finals in Shanghai and at the UK,” said Gould. “The 147 was a monkey off my back really – I’d come close a few times before but once the yellow went in I didn’t feel any pressure. The black was straight in and I’m glad to have finally achieved it. Gould will now join Mark Williams, Ali Carter, Zhou Yuelong, Mark Selby and Kyren Wilson in the Winners’ Group, which takes place at Ricoh Arena on March 28th and 29th. Having finished fifth on the round robin group table, Graeme Dott will return to compete in Group Seven along with Ricky Walden, Li Hang and Judd Trump. They will be joined by John Higgins, Luca Brecel and Robert Milkins. Group Seven commences at 12.00 noon on Monday March 26th.